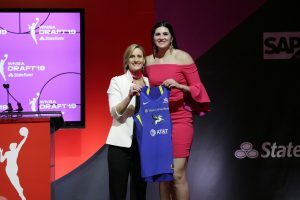 ARLINGTON, TX – The Dallas Wings made four picks during tonight’s 2019 WNBA Draft, adding Arike Ogunbowale (Notre Dame) with the No. 5 pick, Megan Gustafson (Iowa) at pick No. 17, Kennedy Burke (UCLA) coming at No. 22 and Morgan Bertsch (UC Davis) at No. 29. Ogunbowale was a four-year letter winner for the Irish and passed Dallas’ own Skylar Diggins-Smith this season to become the program’s all-time leading scorer. The 2018 and 2019 All-American was All-ACC First-Team in the same years. The 5-foot-8 guard’s late game heroics helped Notre Dame take home the National Championship in 2018 and she was a finalist for the Wade Trophy, Drysdale Award and Staley Award during the 2019 season. Ogunbowale averaged 17.6 points per game, 2.4 assists per game and shot 44 percent from the field during her time in South Bend. The Milwaukee, Wisconsin product’s 31 total points against Baylor in this year’s championship game were the second most points in championship game history. Megan Gustafson poses for a portrait after being selected in the second round by the Dallas Wings during the WNBA Draft (NBAE). 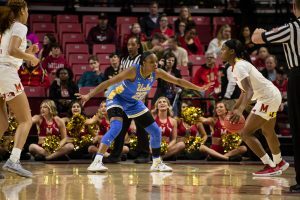 Kennedy Burke drives the lane versus the University of Colorado at Pauley Pavilion (Don Liebig/UCLA Athletics). Morgan Bertsch is the first player from UC David to be selected in the WNBA Draft (JASON SPENCER). 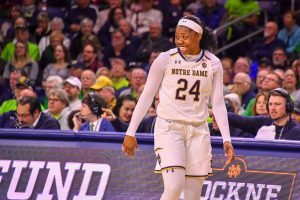 Ogunbowale is one of 18 players from Notre Dame that have been selected in the WNBA Draft and the third by the Wings organization. Her 21.8 points per game average this season were twelfth best in the NCAA. 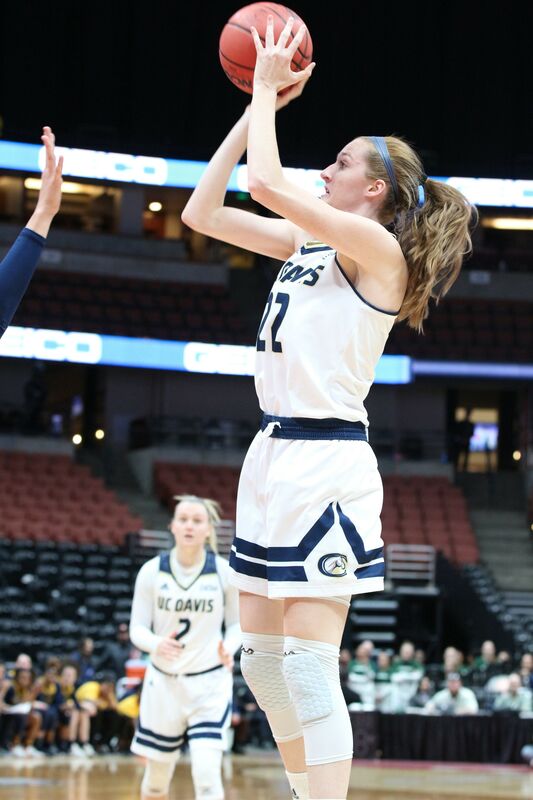 Gustafson, a 6-foot-3 center, was the 2019 Citizen Naismith Trophy Award winner, given to the best player in college basketball, and this season she became one of only four NCAA Women’s Basketball players to score 1,000 points in a single-season. She topped the rankings in numerous categories this year including points per game (27.9) and field goal percentage (69.6). The Port Wing, Wisconsin native was also the Big Ten Player of the Year and was First Team All-Conference. The post player leaves Iowa as the Hawkeye’s all-time leading scorer (women’s and men’s programs) with 2,804 points. Burke is one of only four Bruins to have scored 1,000 points, grab 500 rebounds and tally 100 blocks during her time in Los Angeles. The 6-foot-1 guard was voted to the Pac-12 All Defensive Team and was an All-Pac-12 Honorable mention. She recently moved to ninth on the program’s all-time three-pointers made list and her 49.6 percent clip from the field was sixth best in the conference. Bertsch was the nation’s fourth leading scorer this year, averaging 23.6 points a game and the 6-foot-5 forward started every game for the Aggies this year. 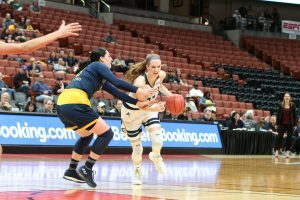 The 2019 Big West Player of the Year was named also named the MVP of the conference’s tournament and she joins Gustafson as her university’s all-time leading scorer.